Whether you are looking for a meal or party snack, we've got it! If you are serving a meal, chicken tenders for dipping in honey are an excellent choice. Serve on a Bee Movie party theme paper plate or on a yellow or black platter. You can even place in a basket atop a yellow or black cloth napkin or bandanna. For a really festive effect place a small yellow bowl of honey in the middle. For finger food. Peanut butter and honey sandwiches are a favorite. Cut sandwiches into quarters. Honey cookies and honey bar cookies are sure hits and are healthy too! Honey graham crackers are another good Bee Movie party theme snack suggestion. They can be purchased at most grocery stores. The possibilities are endless: honey roasted nuts, Bit O’ Honey candies, even Honey Nut Cheerios can be scattered about the snack table in yellow or black bowls. For a fun scoop on an ice cream dish, fill small clay flower pots with ice cream and top with shredded milk chocolate. Stick an artificial flower in each. If you want to go all out, make a pop-pom bee from the craft section below. A fruit tray is a must. Arrange apple, banana, pineapple, honeydew and orange slices around a small bowl of honey dip. Vegetable trays are always great. It is not necessary that every dish have honey in it, but it is nice if you tie it in by arranging on a black or yellow plate or perhaps sitting a decorative bee nearby or on the dish. Whatever snacks you serve, display is very important. 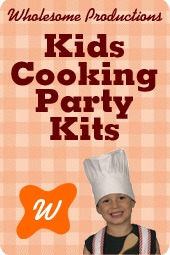 Kids love party themes and colorful set ups.